My sister's mother in law made this years ago and it is the only lasagna I've ever REALLY enjoyed. I can't even tell you how much better it is than your normal meat sauce lasagna. Oh man, you will just have to try for yourself! 1. Cook the sausages with your preferred method. I boil them in water then pan sear until cooked through. You could grill if you'd like. Let cool, slice, and put into a large pot. 2. Add the starred ingredients to the sausages, add 1/2 cup water and simmer for 30 min 3. Meanwhile, cook your lasagna noodles according to the packaging (I prefer the cook kind rather than no bake) and set aside. 4. In a medium bowl, mix cottage cheese and next 5 ingredients (eggs, salt, pepper, parsely, Parmesan). 5. Now the fun starts! Pour a little bit of the sauce into the bottom of a 9x13 inch baking dish to coat (I used 2 8x8 pans for this batch so I could freeze one). 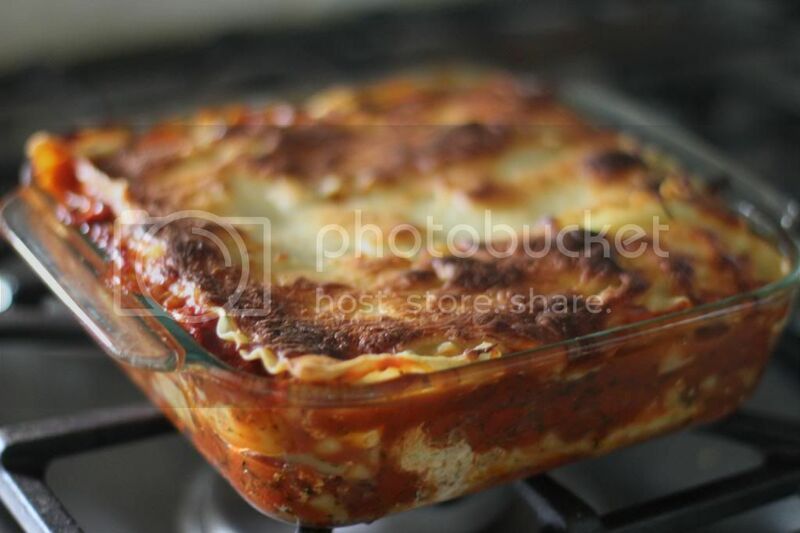 Layer noodles, sauce mixture, cottage cheese mixture, and mozzarella cheese twice. 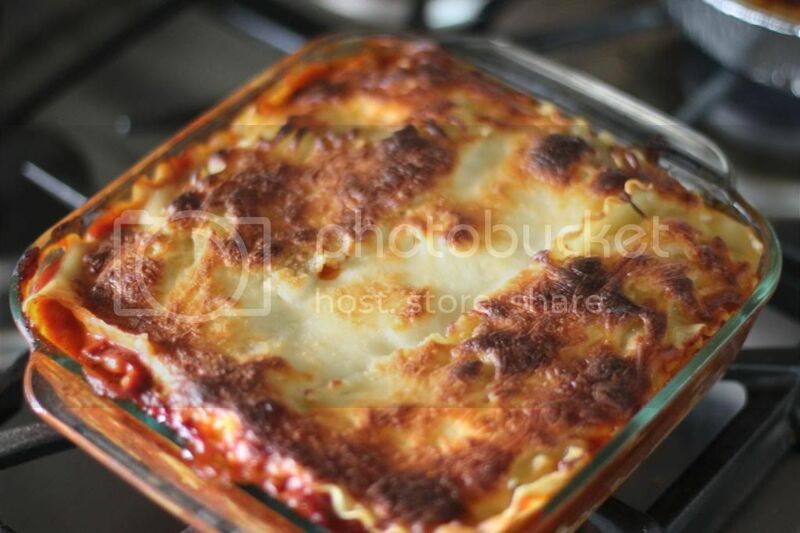 End with a layer of noodles and top with mozzarella. 6. Bake at 375 degrees for 30 minutes. 7. Let cool for 15 minutes and enjoy! yum! I make my mom's lasagna recipe only once a year. It's like our special treat. It's amazing and we def want to make it more but it's like our special thing now so I'm afraid to break it! haha! My mouth is watering just looking at this. DROOOOL.